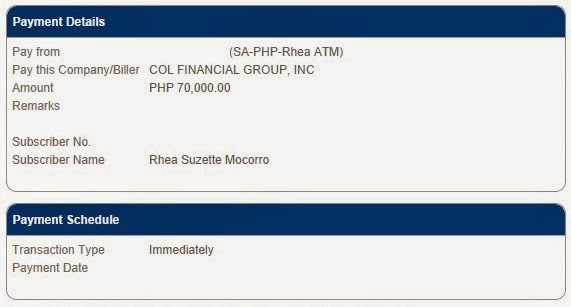 Kuripot Pinay: My 70,000: What to Do? 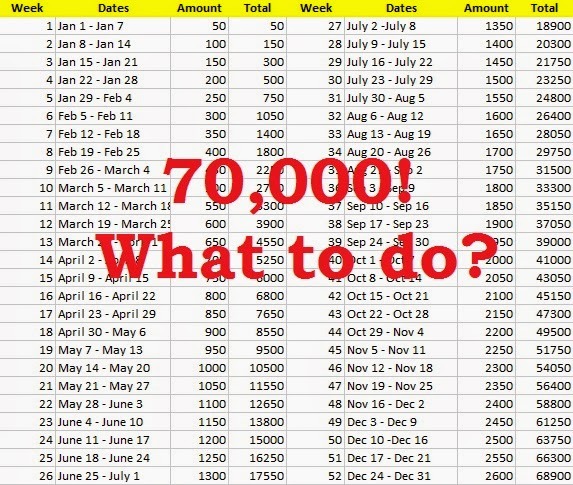 My 70,000: What to Do? Remember my very first post with regards to the 52 Week Money Challenge? Remember my motivation back then? If not, allow me to copy and paste that item as to why I pursued this challenge in the first place. There, I was thinking of getting a designer bag. I have always longed to own one but hey, that was 10 months ago. Considering my goal back then with the challenge, I received mix reactions and inputs from the readers to which I understand. I read each and every comment there and I know these are people who want the best for me. This made me so thankful in the process as it opened me to new avenues as to where can I put my money to good use. Fast forward to now, I already completed the challenge and I manage to save 70,000. With the money, I can just use it to buy my most coveted designer bag. However, over the course of those months, it made me realize to put my money to good use. Even more, I could still be able to maximize the potential of such money. Hence, I won’t be buying a designer bag at all. Thank heavens for the intervention. Instead, I would use the money to beef up my stock market account. I am fairly new to stock market and I am still learning the ropes as to how to read charts, make analysis and what not. But over the course of those months, I was able to gain a little and loss a little. But I am having fun with it. I am planning to use the money to buy some blue chips in the stock market for long term investment. Plus maybe one company that I can play for short term investment. I am still not buying though, I would just credit it to my account so that when my desired price would be met, then I would buy. So pretty much I would just be putting my 70,000 there for the meantime until I can shop for my desired blue chips once their prices go down. I’m still not giving-up my dream of owning even one designer bag (I'm one persistent girl eh); however I am thinking of using the money that I would earn eventually in the stock market. With this, it makes me motivated to invest my money well in good companies that would yield good results in the near future. Plus, it will keep me motivated to learn on investment. Even more, I even have a bigger dream to fulfill (secret for now) and I know I’m on my way to realizing it eventually. P.S. To those doing the 52 Week Money Challenge and 52 Week Money Challenge Version 2, it is Week 39 already! Did you deposit the next amount yet?